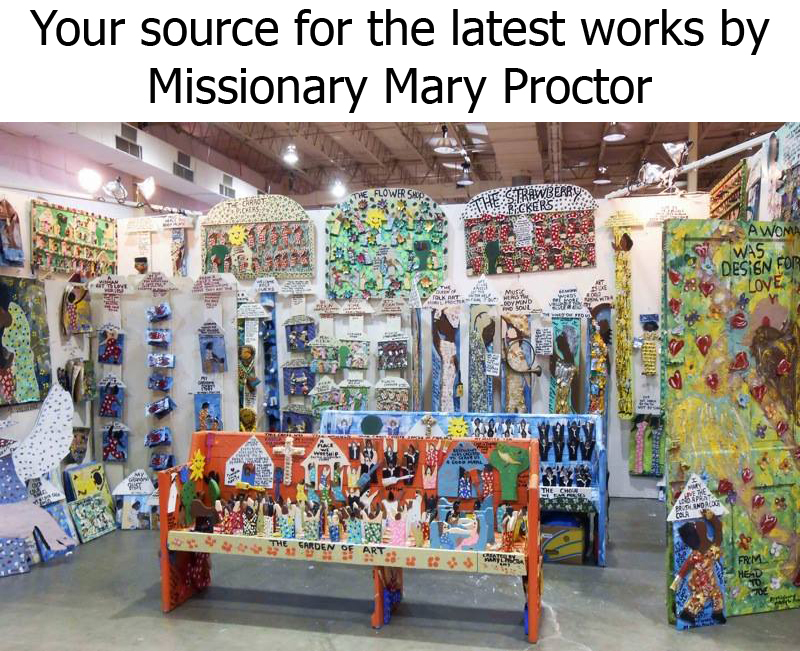 We first met Missionary Mary Proctor a few years after she started creating folk art. George and I made our first trip to Tallahassee to visit her environment in 2004. Over the years our friendship has grown. Mary has a deep spiritual calling in her life that will not allow her to stray away from her true form. She is always mindful of her grandmother, aunt & uncle that died in 1994 in the house fire and couldn’t find a door to get out. While fasting, the Lord told Mary to”paint doors”. 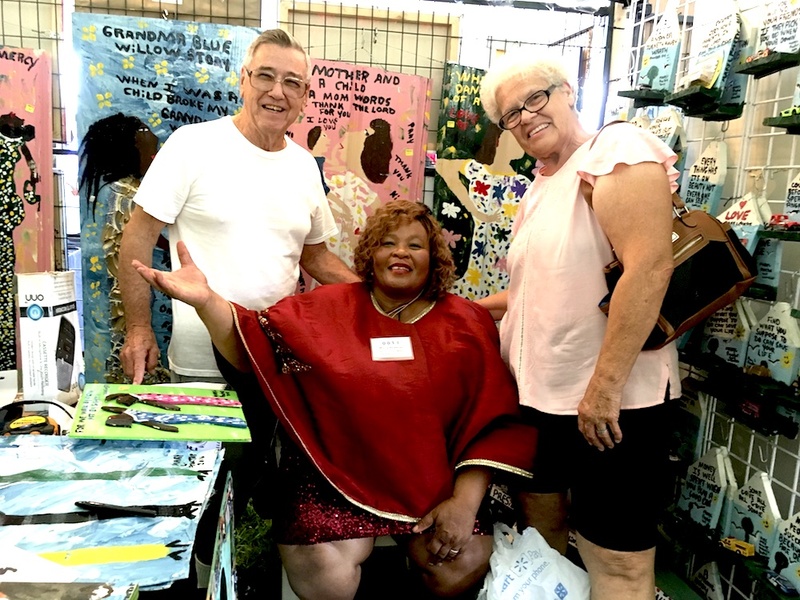 The doors she creates are her message and a dedication to her family. She uses all kinds of found objects in her paintings and creations. Fabrics, old blue willow plates, S & H green stamps, tin box pieces, coins, buttons, keys, used paint brushes, marbles, anything ! She throws away nothing. After George and I had visited our first Finster Exhibit, we started collecting. 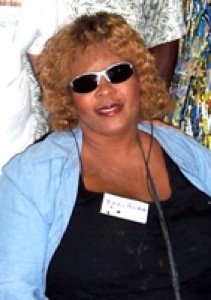 Mary’s art was one of the first artists that we started collecting. Often when people start collecting they ask "what should I buy?" and I tell “Buy what you like!". Enjoy your collection.......IF....it's goes up in value that a plus. If you buy art strictly as an investment, you miss the fun of getting involved with the artists. They are all so down to earth and approachable. Folk artists are not like the “artsey” crowd. They don't try to prove anything to anyone. They each have a story to tell as to why they are creating and they are always eager to share their stories with you.